Via the option to split an expense per category you have the possibility to trigger a pop-up message for the user to ask them if they would like to split an expense. 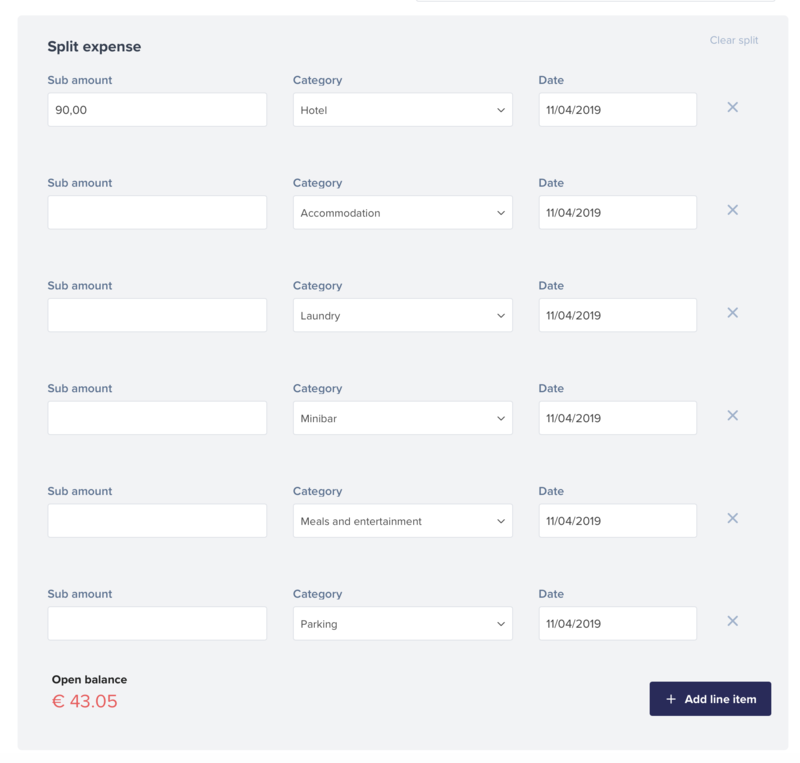 This can be useful when you want to push your users to split bigger invoices or a hotel invoice. 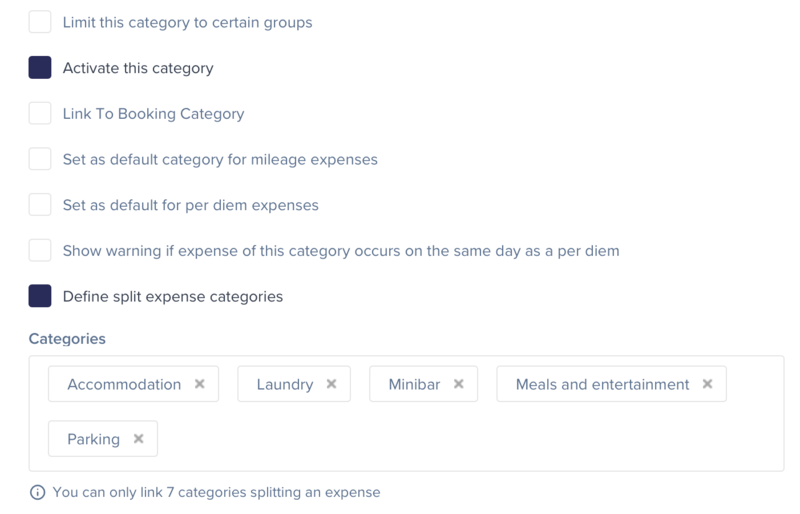 By splitting the expense into multiple expense, you'll be able to assign the expenses to the right categories. To set this up, go to the admin settings, next categories and select the category you would like your users to split, in this example 'hotel'. 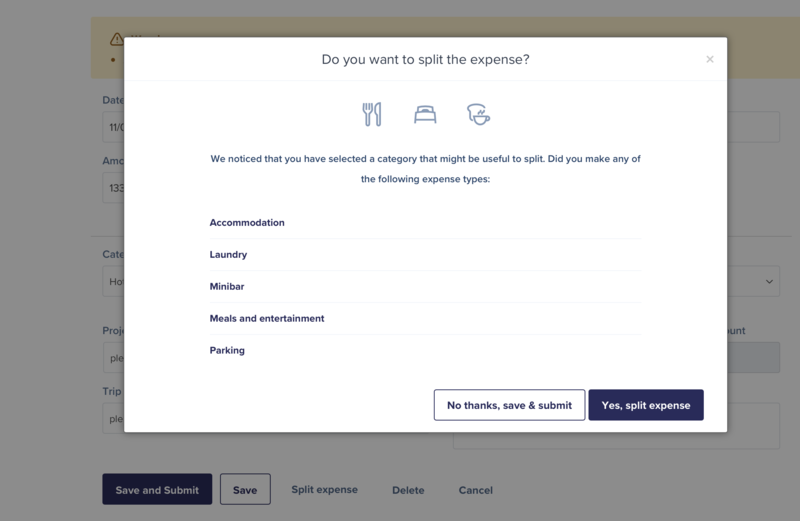 Now, when a user adds an expense and selects the category 'hotel', they'll be asked if they would like to split the expense when they try to submit the expense. On the following screen, they can then split their expense into the different expense categories. At the bottom you can see the open balance, this is the amount that still needs to be split. In the end this should be reduced to zero.